Nelumbo owns a new class of surface modification technology – think of a tattoo for metal surfaces – that can bring superior energy performance, longevity, and ease of use to several products that impact everyday life. We can customise this technology to solve unique challenges and have built a company with the expertise to rapidly prototype, develop, and deploy new products with leading partners. 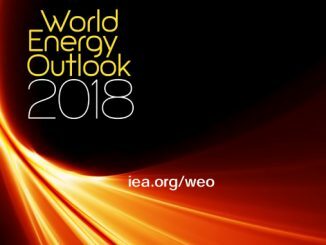 We have focused first on the cooling market, where the need for higher performance products is well known; in building cooling alone, energy demand will triple by 2050 (www.iea.org/cooling). Luckily, there is low hanging fruit that can be addressed. Cooling systems (air conditioners, refrigerators, freezers, etc.) have long-standing operational challenges with parts of the system responsible for cooling air, known as “heat transfer surfaces”. These surfaces build up water, frost, mould, and corrosion as a normal course of operation and left unchecked those elements waste a lot of energy and money by getting in the way of the system doing its job. Imagine if everybody knew that part of their electricity bill was being used to cool down the dirt and contaminants caught inside their system, rather than the air moving through it! Our solution is simple: increase the effectiveness of heat transferring surfaces – in particular, components such as heat exchangers – by keeping these surfaces permanently clean, dry, and working like new, to do more cooling with less energy. To do this, we add a unique layer of materials to these surfaces that give them properties such as extreme water rejection, frost resistance, corrosion mitigation, and resistance to microbial build up. This solution is simple – no moving parts, designed to match system lifetime, and no additional maintenance. 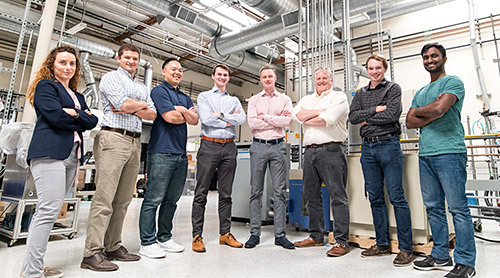 The solution is scalable and can be applied to a range of cooling devices – we have adaptable methods to manufacture this technology so it can provide value to customers in residential, commercial, and industrial systems. 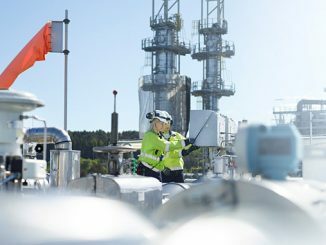 We are developing relationships with world-class partners to bring this technology to a range of customers in cooling, from comfort systems to food processing and storage to chemical production. If all goes according to plan, the AC outside your home will soon be enabled by Nelumbo technology. And in a market expected to quadruple in installed capacity over the next 30 years, our opportunity gets bigger every day. Nelumbo provides nanostructured surface technologies to remove bottlenecks and erase assumptions in product design and manufacturing. Their primary focus is on developing improved heat exchangers for the air conditioning and refrigeration market. 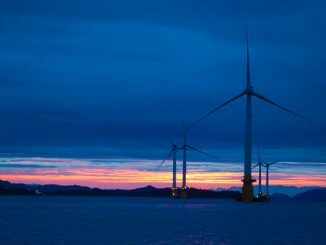 Their ability to improve energy performance and minimise corrosion in a single platform unlocks mass market opportunity with potential for significant carbon emission and energy use reductions worldwide. Surface Modification Technology start-up Nelumbo recently raised USD 5.5 million in a Series A offering led by the Berkeley Catalyst Fund with syndicate partners that include Photon Fund, 1517 Fund, UPC Capital Ventures, LLC, and Danfoss. The Series A financing, which was oversubscribed, enables Nelumbo to bring first products to market and establish additional strategic partnerships focused on developing and commercialising new products. Nelumbo is partnered with market leaders in heat transfer efficiency and consumer electronics, world class universities, and the US Department of Energy. The company and its founders have won numerous awards and fellowships for their products and technologies. 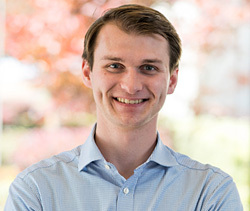 In 2015, Liam Berryman co-founded Nelumbo and during Liam’s tenure as CEO, the company has successfully developed and achieved product-market fit for their first product, attracted major investors from both venture and corporate backgrounds across two rounds of financing, and built partnerships in the U.S., China, Europe and Mexico. He has also participated in the world-renowned Cyclotron Road program, an elite 2-year program supporting hard technology, energy focused companies. Berryman has been recognised by the Forbes 30 under 30 list for Energy, and as a 2018 Thiel Fellow.